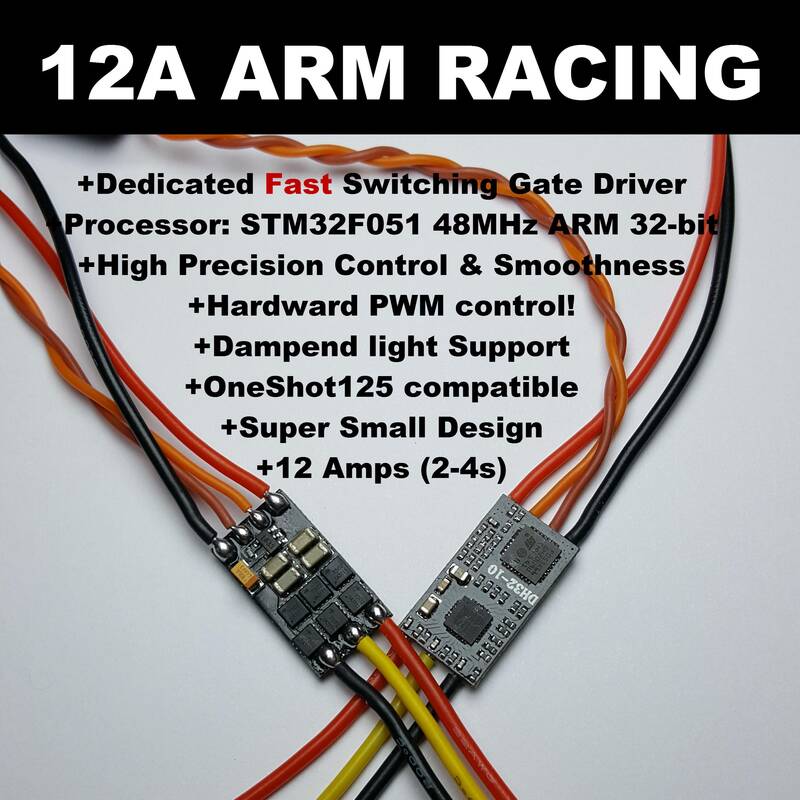 -Developed for Racing Multicopters, Now with OneShot42/MultiShot Support! 1. High compatibility can be compatible with most of the motors. 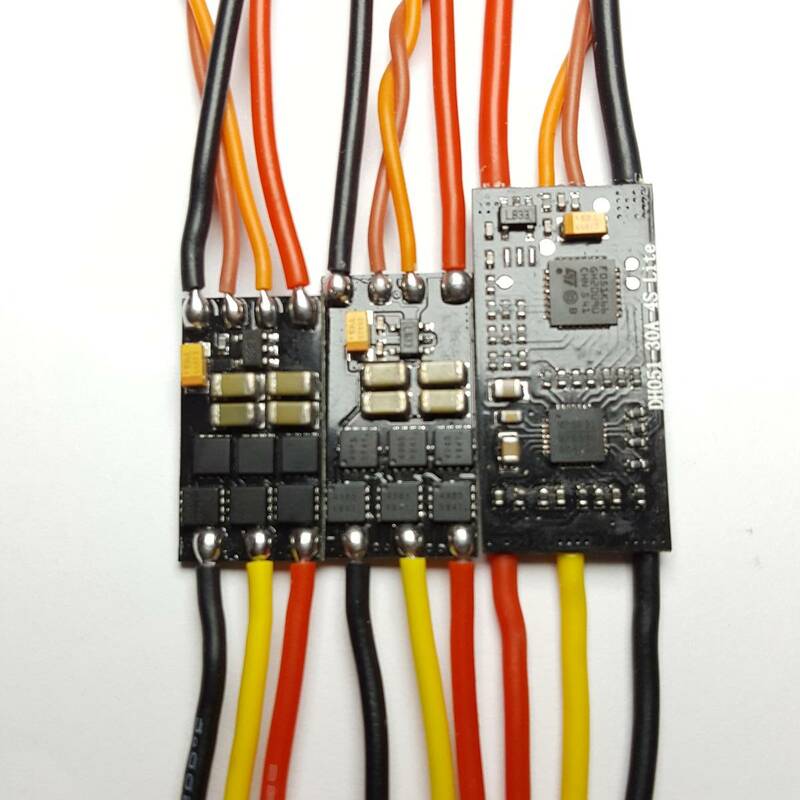 Compared to the other most famous firmware, our firmware can compatible more motor types, especially high KV value motors. 2. Fast throttle response, excellent linear. No jump from 0-100% throttle. The other most famous and widely used firmware will appear different degree of jump when the throttle at the position of 92.5% position. 3. Have very small size and light weight. No external electronic capacitor. 4. 32bit ARM chip, hardware PWM driver. 1. Special designed for multi drones. 2. STM32F051 48MHZ ARM 32-bit micro-processor. 3. No external electrolytic capacitors. 4. Adaptive timing. It can compatible with much more motors. 6. Having synchronous rectification technology to increase the working efficiency of ESC. 7. Regenerative braking, active brake. Motor deceleration response increased significantly. 8. Anti blocking protection. When motor or propeller is blocked by something, ESC will stop the rotating of motor immediately to avoid the damage of motor. The motor will automatic start to rotate when detect there is no blocking. 9. PWM output frequency is 24 KHz. 10. Throttle resolution is about 1480 steps. 12. Support 2-4s Lipo battery.